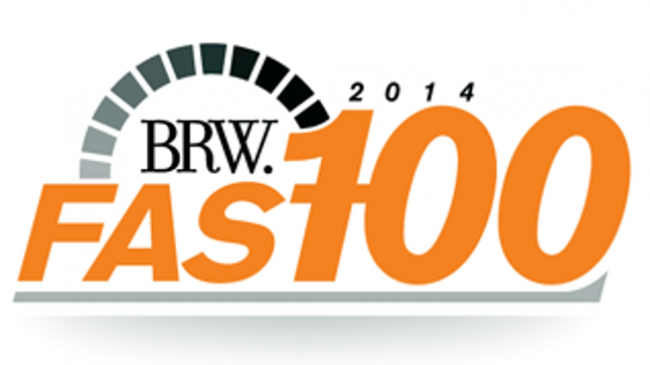 Each year, prominent business publication, Business Review Weekly (BRW), develops its Fast 100 list that details the fastest growing Australian companies. A fiercely contended accolade, the rankings are measured according to each company’s average growth rate over a four year period. With so many companies vying for a spot on the coveted list, those fortunate enough to make it represent the best and brightest in their respective fields. The nomination is not only a coup for Prestige but also a reflection of the hard work and dedication of ever one of its employees. Of the honour, Nick McDonald, CEO and Founder of Prestige Inhome Care, commented; “To be recognised by a business institution the caliber of BRW is something truly exceptional and could not have been achieved without the hard work of all the Prestige employees who are on the frontline every day, representing the company. The company was just one of a handful of solely Melbourne based companies, and one of the few care/medical companies to make the list, reflecting an even greater achievement. The company reached number 88 on this years’ list, but with a new office recently opened in Geelong and plans for a Mornington base, along with expansion aspirations into other territories, Nick is more than confident that next year will see Prestige get much higher up the list. “We have a number of expansion plans over the next 12 months that will able us to provide better services to the wider Melbourne community and, ultimately, this will help us as we consider expansion into other major cities,” said Nick. For Nick, who started the Prestige after working for years in the aged care sector in which time he became disillusioned by the lack of inhome care that was available, the award is particularly sweet. “I’ve always been passionate about providing care to the aged community of Melbourne and this award affirms my decision to begin Prestige Inhome Care. With the support of my friends and family, without whom none of this would have been possible, and Prestige employees we have been able to develop the company into the premiere care provider in Melbourne with a very bright future”, finishes Nick. To see the full BRW Fast 100 list click on the link, or for more information on Prestige Inhome Care and its services check out the rest of the website.